The European Clubroot Differential (ECD) turnip ‘ECD04’ has been used extensively in breeding worldwide for clubroot resistance in cole crops and canola. The German clubroot resistant variety ‘Mendel’ was developed by using ECD04 as the B. rapa parent together with a resistant cabbage (B. oleracea parent) to resynthesize a clubroot resistant Brassica napus line. ECD04 clubroot resistance involves two or three dominant genes. However, Mendel did not appear to retain all the resistance genes. Crosses of ECD04 with Canadian spring canola ended up with clubroot resistance controlled by a single dominant gene. Crosses of Mendel with Canadian spring canola also ended up with resistance controlled by a single dominant gene located on chromosome A03. Crosses of ECD04 with Chinese B. napus resulted in clubroot resistance controlled by a single dominant gene located on chromosome A08. Another German attempt to resynthesize B. napus from clubroot resistance parents (‘Bohmerwaldkohl’ cabbage and ECD04 turnip) was tested on seven different clubroot isolates and found to have two resistance genes on A03 and A08. In our experiments with clubroot resistance against new pathotypes that have shown up in Alberta, we found that ECD04 was very resistant to the new strains, Mendel was moderately resistant to resistant, while Canadian CR varieties were susceptible. All resistance genes were not transferred from the initial “grandparent” ECD04 cross to a synthesized B. napus and then eventually Mendel (“father” generation), and then another loss occurred during crosses from Mendel to Canadian CR varieties (sibling generation). Thus the resistance strength against the spectrum of old and new pathotypes in Alberta is ECD04>Mendel>Canadian CR varieties (at least the first round of CR varieties). The good news is that stronger and wider clubroot resistance in ECD04 (2 or 3 possible genes) could be used for as a donor for better clubroot resistance in Canadian canola breeding programs, but markers will be required to keep all the resistance genes. This highlights the value of current genetic marker technology to retain resistance genes through the breeding and seed multiplication process. The process of introgressing genes from B. rapa into B. napus does take more time and skill and sometimes runs into quality barriers that are tightly linked to resistance genes. An outbreak of Verticillium infection was discovered in Manitoba canola in 2014. Follow-up found the infection was caused by Verticillium longisporum, a persistent pest that damages canola crops in Europe. A survey by CFIA in 2015 found Verticillium longisporum to be present across Canada, with the highest prevalence in Manitoba. Verticillium was found in samples collected by Alberta Agriculture in 2016 from a suspect field, but symptoms and appearance of the pathogen were different than typical V. longisporum infections. Further investigation with traditional morphological identification and modern genetic analysis revealed the samples were infected by Verticillium dahlia. This pathogen infects a much broader range of crops and has been present in Alberta for a long time but has not been associated with canola disease symptoms before. In canola, the symptoms appeared late in the growing season, typically leaf yellowing, early leaf loss and early ripening of the plant. Under greenhouse conditions, the organism caused severe stunting in canola seedlings and adult plants, and lesions on the stems. The pathogen isolate was able to successfully infect fababean plants. More work needs to be done on the potential of Verticillium dahliae to cause yield loss in canola and other economically important crops, to determine if resistance exists in canola, and to explore pest management options for this pathogen. Human population is expected to continue growing and a greater demand for increased food production is anticipated. At the same time global environmental change and soil desertification along with the global crisis in water and energy resources threaten to make food production more difficult and more expensive. Hence, unless we start using crop production systems that can provide higher yields while minimizing the negative environmental impacts, our world may become hungrier and more violent. Ecological intensification examples such as crop pollination or biological pest control are considered promising alternatives in order to reach the goal of higher crop yields while minimizing the environmental impacts. 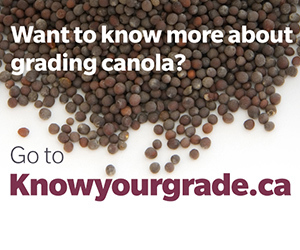 Canola is regarded one of the most valuable crops in Canada. Studies show that ecological intensification through honey bee pollination may substantially increase seed yield under different agronomic practices, while at the same time canola is the most important honey-producing crop in western Canada, supporting a productive beekeeping sector (a great win-win situation). However, so far studies of pollination benefits on canola seed production produce inconsistent results and it is possible that these inconsistencies might be explained by differences among varieties (and/or variety types) in pollinator-dependency. In order to sustain the previous win-win situation, we need to determine varieties that differ in their consequences of pollinator visitation (pollinator-dependency) and then link varietal differences in pollinator-dependency to specific phenotypic traits. In order to investigate the previous questions a greenhouse experiment was conducted at the Lethbridge Research and Development center. Pots of 8 historic (open-pollinated) varieties and 15 contemporary (hybrid varieties) were randomly replicated in two identical greenhouses. At 10% of bloom one commercial bumble bee colony was placed in one of the two greenhouses and finally all the plants were harvested at maturity. After harvesting, important growth and yield characteristics were measured at the plant level and these data were used to test whether the pollination visitation effects differ across different varieties and variety types and to link any potential varietal differences in pollinator-dependency to specific phenotypic characteristics. Our results indicate that pollination significantly alters the character of canola crops and thus their functioning (significantly increases canola seed yield). Variety type significantly affected the response of pollinator-dependence to pollination. In particular, hybrid varieties, on average, were more pollinator- dependent in the absence of pollinators. Finally, our findings confirm that pollinator-dependent varieties produce significantly higher yields with pollination, while in the absence of pollinators these varieties are not able to reach their maximum productivity. Linking specific traits to canola pollinator-dependency and total seed yield is a very important step. Our next step is to investigate whether the benefits of honey bee pollination to canola yield are enhanced under sub-optimal growing conditions. Clubroot biology and history were briefly summarized. From the first 12 canola field infestations in Alberta in 2003, infestations increased steadily to 2744 confirmed fields by 2017. This disease is now endemic in central Alberta and appears to be increasing in Saskatchewan and Manitoba. Given the limited effectiveness or cost associated with other clubroot management strategies, and the economic incentive to grow canola in short rotations, variety resistance quickly became the most relied on management tool. However, clubroot resistant (CR) varieties are not immune and the Plasmodiophora brassicae pathogen still proliferates at a limited rate in CR varieties, which results in small spore level increases after growing of a resistant variety in infested soil. The spores produced on CR varieties have higher frequencies of strains that can defeat the resistance and can result in pathotype shifts. Earlier greenhouse pot studies showed that repeated use of a resistance source in the same pot led to reduced effectiveness of the resistance, and this highlighted the need for proper resistance stewardship. Resistance stewardship was often not practiced and by 2013 new virulent strains of the pathogen were identified in two fields. 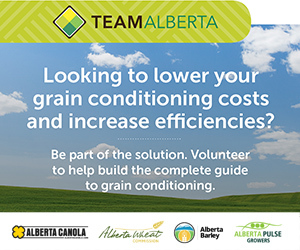 By 2017, over 100 fields with new strains that defeated resistance had been confirmed in Alberta. The structure of the pathotype population needs to be known for resistance breeding. Existing pathotype classification systems such as Somé or Williams could not distinguish the new strains. The “Canadian Clubroot Differential” (CCD) set was developed with 13 differential hosts to help identify pathotypes. A different letter is used for each of 17 pathotypes found in Canada to date. With the Williams system used previously, pathotype 3 was the most common in Alberta canola fields. With the new CCD system, we have identified a number of variants of pathotype 3 that can overcome resistance. The most common of these is pathotype A. The ‘old’ pathotype 3 strains (which are incapable of overcoming resistance) are classified as pathotype H.
A recent study examined the diversity of P. brassicae on CR canola and compared these with pathogen populations from other Canadian regions. Most isolates belonged to one of two distinct populations which correspond with the ability in infect CR canola or not. Multiple introductions of clubroot into Canada probably occurred. However, this and other genetic studies have only compared ‘old’ pathotypes with 5X and more ‘new’ pathotypes need to be studied. An important step is to collect and maintain single-spore isolates that are genetically homogenous. The erosion of clubroot resistance emphasizes the need to use a more integrated approach (beyond just genetic resistance) for clubroot management. There is renewed interest in strategies such as liming and soil fumigants. Fumigants are very costly but could be useful in small areas such as entrance ways. Preliminary results of current liming research near Edmonton shows a promising reduction in clubroot severity, although these results need to be confirmed. The history of blackleg in western Canadian canola and the introduction of variety resistance was outlined. Rlm3 was the first specific resistance bred into Canadian spring B. napus by the University of Alberta (‘Quantum’, ‘Q2’), and it came from the Australian variety ‘Maluka’. The effectiveness of Rlm3 has eroded over time but it is still common in many recent varieties. The scouting for blackleg should include cutting stems just below the crown level around swathing time. There are picture scales for the blackleg ratings. Field trials have found that yield declines 17% for each step in disease severity rating. However, not everything that causes internal stem blackening or black plate cultures is Leptosphaeria maculans (virulent blackleg). Seed testing labs can differentiate between L. maculans and other pathogens, but not between different blackleg strains. In order to differentiate between strains, a set of plants with different R genes must have different disease reactions to spores from different blackleg isolates (this is the pathotyping system). Or with DNA analysis of isolates, the tests must be able to accurately identify which avirulence genes are carried by different isolates of the blackleg fungus. The gene for gene interaction model for disease resistance was described. When a plant has a resistance protein coded from an Rlm gene that matches or recognizes the avirulence proteins coded by Avr genes of the invading fungus, then defense systems are activated and resistance is achieved. When the fungus has changes in the avirulence proteins through mutation or population shifts, then the plant resistance in no longer able to recognize the fungus and defenses are not activated. There have been about 16 different matching Avr – Rlm gene interactions identified by researchers but in reality it is more complex and there are fewer due to overlap by several alleles of same gene, or influenced by suppression of other genes. In addition to this specific R gene resistance, there is weaker, broad range resistance often called adult plant or field resistance. This additional resistance complicates the evaluation and understanding of blackleg resistance under field conditions. Canadian canola variety blackleg resistance (R, MR, MS, S) is based on ratings from field disease nurseries across the prairies but does not provide information on resistance genes. A new blackleg resistance gene labelling systems has been recently adopted but is voluntary for breeding companies to include for their variety descriptions / marketing. Letters are appended to the regular rating to identify each resistance gene – an example is R-ACG, which indicates 3 resistance genes (Rlm1, Rlm3, RlmS). To be most useful in field situations of blackleg resistance issues, the new canola variety blackleg labels will need to be used together with information on which blackleg Avr genes are present in isolates from that field. A new genetic test (KASP system) has been developed that can identify the Avr genes in blackleg isolates from canola stubble. It has been validated with 153 different blackleg isolates from around the world, as well as 11 L. biglobosa isolates (a closely related non-virulent species). There are about 6 six general groups of races for blackleg with the combinations of Avr genes in Canada historically to present. The diversity of Canadian blackleg races have increased over time in response to variety resistance bred into canola varieties. This diversity can be explained by simple inheritance of Avr alleles. The new blackleg stubble test being commercialized will first confirm if the symptoms are due to blackleg, and secondly will identify the Avr genes present. Then the producer or agronomist can look for varieties with blackleg resistance labels that will match these Avr genes. The test should be done in the fall to allow time for testing and selection / purchase of the appropriate varieties before next spring seeding. Results were presented from a three year (2014-16) research trial conducted at 3 sites in Saskatchewan with full-scale machinery (NH CR 9080 and CR9.90 combines; various headers). Standard and shatter tolerant canola hybrids were used. Four treatments compared were: swath + belt pickup (control); 36 ft draper header with rotary divider; 35 ft rigid auger header with vertical knife; 35 ft varifeed header with vertical knife. Harvest conditions varied between sites and years. For example 2014 Swift Current conditions had dry grain but green stems and undergrowth whereas 2014 Indian Head conditions were dry but with a strong wind event. Shatter losses were greatest at the ends and in the middle of headers, and losses were higher with standard varieties than shatter tolerant varieties. Fields with variable maturity were not as good for straight cutting as uniform stands with a netted or slightly lodged canopy. Overall, all the headers were viable options for straight cutting canola with only marginal differences in yield, loss feed performance, ground following etc. Header losses averaged about ½ to 1 bu/acre. Sideways auger conveyance was more positive feeding than drapers. An extendable cutter bar helps to optimize feeding under different crop densities. The Varifeed header was most comfortable and forgiving header when straight cutting canola. Rotary dividers had higher overall loss than vertical knives, and a fixed divider had higher losses on the left end (drive end). Difficult straight cutting conditions like severely lodged canola caused rigid / varifeed headers to bulldoze dirt. The draper floatation system followed ground contours well. Preliminary one year results from a Manitoba study looking at combine performance and the impact of dessication was outlined. Yields were not affected but some differences in combine performance were measured. Economics slightly favored swath and natural ripening / straight cutting over dessicants + straight cutting. Overall, swathing and straight cutting canola are both good harvest options. Agriculture in Alberta is impacted by varying weather conditions and high quality standard weather data is key to understanding risks and future productivity potential. Weather station coverage in the agricultural areas of Alberta was poor prior to 2002 and 170 stations have been added since to improve coverage. There are about 400 near real time hourly reporting stations now. Insect pest risks can be predicted with models that use weather and pest data. 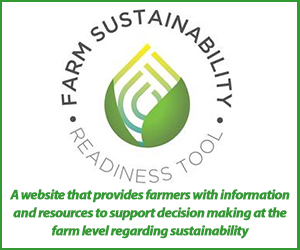 Components of this model include ACIS weather data (network and on-site), insect phenology, field type (dryland or irrigated), natural enemies phenology, and crop growth stages. A pilot project began in 2014 for wheat midge, alfalfa weevil and bertha armyworm. 75 fields were surveyed over 4 years to document insect phenology, crop stages and natural enemies. In 2017, 7 sites were sampled for flea beetles too. The goal is to improve predictions, and for the wheat midge, this means better prediction of adults, eggs, larvae and cocoons, using pheromone and yellow sticky taps for both males and females. For the alfalfa weevil, better predictions were sought for adult and larval activity over the season in forage /seed and irrigated / dryland situations. On site weather stations did not add much precision over nearby station data for temperatures, but did with precipitation and relative humidity. This project found that yellow sticky traps are needed to monitor wheat midge females and parasitoids, emergence was triggered by 15-20 mm rain in mid to late May and a period of temperature warmer than 6 °C. The scouting for alfalfa weevils should start in mid-May for eggs, larval activity continued after first cuts of hay and development was faster at dryland sites than irrigated. There were no bertha armyworm results due to lack of outbreaks. The goal is to develop and provide mobile real time apps to show insect development, natural enemy activity, weather and management advice. Barb provided a live walk through the various functions of the Canola Research Hub that is hosted on the Canola Council of Canada website (canolaresearch.ca) . The Canola Research Hub translates agronomy research findings into tangible on-farm practices that result in great productivity and profitability. This database currently incorporates reports and findings from 1​24 canola agronomic studies, reflecting and informing current canola production practices and conditions. 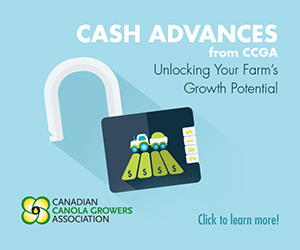 These include completed and in-progress research under GROWING FORWARD 2, the Canola Agronomic Research Program (CARP) and additional studies funded by each of the provincial grower groups. Research summaries can be searched by main topics of plant establishment, fertility management, integrated pest management and harvest management. Or the search can be narrowed to organizations, principal investigator, location, etc. There is an events listing, and a media zone with a photo collection, videos and compilations of press releases and past news articles.